Security on the web and cyber security is always a hot topic. Seems like almost every day, you hear about some major companies database being hacked. Even major players such as Apple, Sony, or even Target have been hacked at one time, and that is just naming a few. 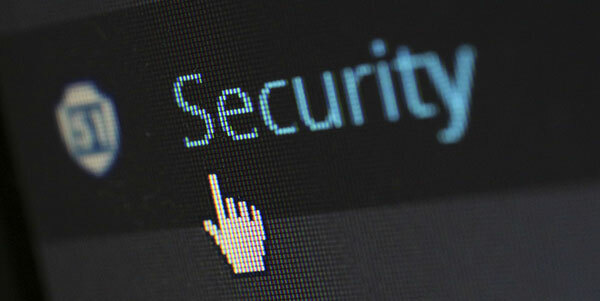 If you own a website, there are some steps you can take to in help securing WordPress websites. The benefit of using WordPress is the ease of use and the availability to add plugins to expand its capabilities. Also, with these benefits, it makes WordPress one of the most used CMS (content management system) in the world today. With it being so popular it attracts a large number of hackers. It is just like the Windows vs IOS comparison because Windows is the most used it attracts way more hackers than IOS does. This list will have a few steps to help secure your site but always look for more options, the safer the better. One of the first steps you can do before you even install WordPress, is to open the wp-config file and change the abbreviation for the database tables. By default, all hackers know that a WordPress database table begins with wp. So, by changing this it makes it harder for them to find it. Also, when initially installing your files, use an FTP and remove these files, readme, license, and wp-config-sample. All these files contain what version of WordPress and give hackers for information on your site. After your site is installed, we suggest installing a security plugin such as the iThemes Security Plugin. Follow all the security steps and turn on features to help secure your site. One feature you should really consider is under the advanced tab. Change the login page for admins, every hacker knows that wp-login.php is the login page to a lot of sites. By changing this, you make it harder for hackers to find it. Another good step is to remove any unused themes or plugins. When it comes to plugins try to stay with properly vetted ones. Some plugins can provide security holes to your site if not coded right. If you happen to get hacked, tools such as the Anti-Malware Security can help find the problem. Just because you have a small site, do not think you will not get hacked. Most small sites, even on GoDaddy are on a shared server. That means, you are just one of a bunch of sites on one server, and if they can get through on yours, they may have access to all the sites. Of course, all this may be a little too much to handle, that is why the experts at VR Metro can help you with any questions you may have about your WordPress or any website. Just give us a call today at 734-729-7082 or use our easy contact form.